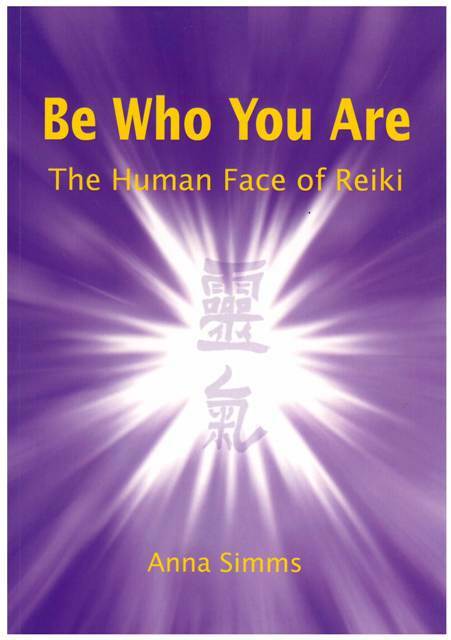 Be Who You Are : The Human Face of Reiki, ISBN: 9780473239886 - available from Nationwide Book Distributors Ltd NZ. Be Who You Are is the story of Anna Simms’ personal Reiki journey. The words “Rei’ and Ki’ are thought to originate from ‘Raku-Kei’ and are from the Japanese language. Raku is the vertical energy flow through the body and Kei is the horizontal energy flow. ‘Raku-Kei’ is the art and science of self-improvement used by ancient Tibetan llamas dating back thousands of years. Reiki (pronounced Ray-key) means Universal Life force and is a system of natural healing which involves the lay-on of hands and distant healing. As Anna Simms says: “It was nearly 30 years ago when I discovered Reiki. I was living in Hong Kong and due to go into hospital for major surgery. It was also the year I decided I would compete in the Dragon Boat races, so I wanted to heal quickly.” Dragon boating seemed impossible, but someone mentioned Reiki. Anna saw a practitioner, made a surprisingly rapid recovery from her operation and competed in national and international Dragon Boat competitions that year on Hong Kong Harbour.